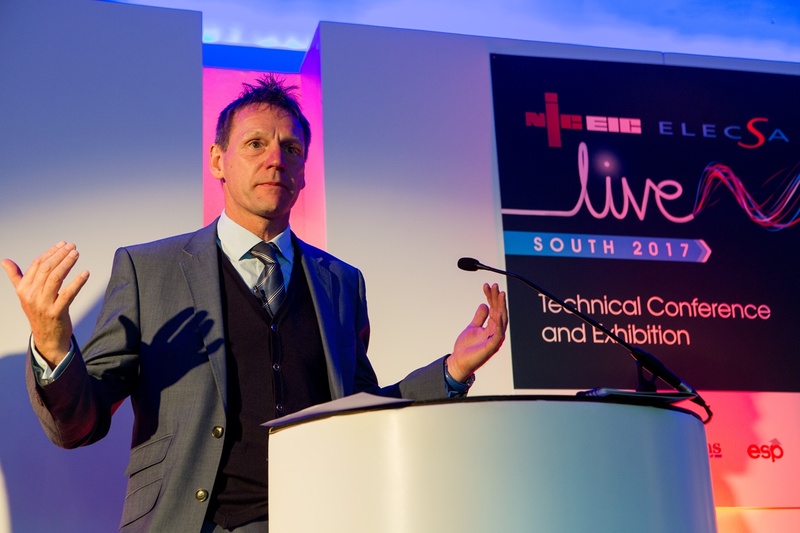 More than 500 electrical contractors descended on Epsom Downs on 18th May for the annual Live South event from NICEIC and ELECSA. This year’s star attraction was former England footballer Stuart Pearce. The tough tackling full back worked as an electrician before finding fame as a footballer. He told a captivated audience about his time on the tools whilst working as an electrician for Brent Council alongside his experiences of working for some of the most famous names in football. Pearce famously still worked as an electrician after signing his first professional deal with Coventry City. The work, he said, supplemented the wages he received as a footballer, which was less than an employed electrician back then in 1983. He eventually gave up the life of a spark when he secured a big money move to Nottingham Forest a few years later, adding that it was unlikely footballers of today would need to work part-time as an electrician. Following his talk, Pearce, who was capped 78 times by England, took time out to visit the exhibition hall, speaking to exhibitors and stopping off for hundreds of selfies with the crowd. The crowd also heard talks from NICEIC and ELECSA’s Tony Cable and Darren Staniforth. 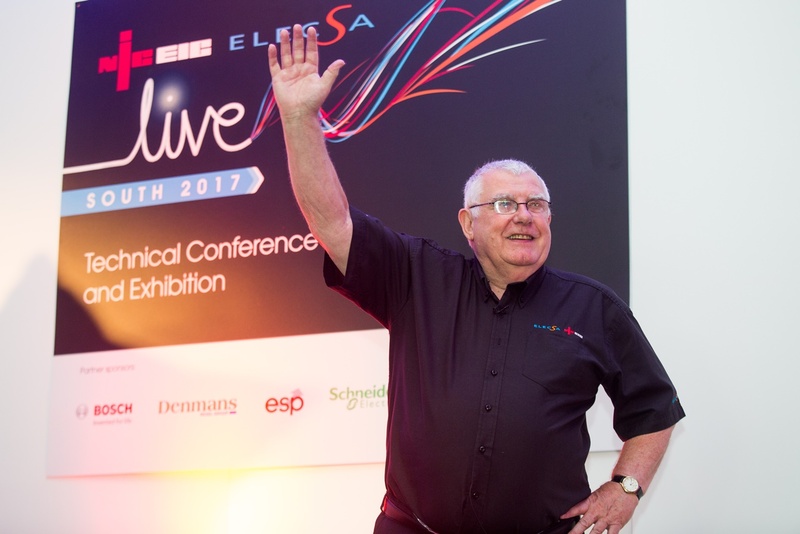 It was the final Live South event for Tony who has clocked up more than 60 years in the industry and is retiring in June. Tony Cable retires in June. Attendees were also able to quiz NICEIC and ELECSA’s technical experts during a debate which threw up many questions and queries surrounding the current regulations. There were also talks from Neil Baldwin from Scolmore on emergency lighting, David Lewis from Schneider on asset management and Phillip Schuster from Loxone about the growing opportunities for contractors in smart home technology. This year’s event was sponsored by Bosch Power Tools, Denmans, Elite Security Products, Schneider Electric and The Scolmore Group. In addition to the talks, contractors were able to look around a thriving exhibition hall featuring some of the biggest names in the industry. They were able to try out the latest kit and take advantage of special offers, including £250 worth of discounts. The expo hall also featured a virtual reality experience in which contractors had to move around a virtual room spotting the electrical faults. “Each year we try and bring something different to Live which will appeal to contractors and help them with their business,” commented Mark Smith, director of marketing and communications at Certsure, which operates NICEIC and ELECSA.